Amazing… I hope to test it soon. Thanks to Alexis Jacomy, and all the developers! 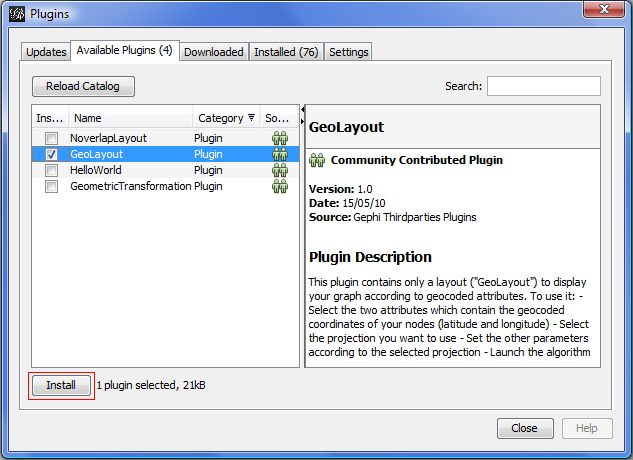 Does gephi or this plugin allows importation from google earth? for example a KMZ or KML file, with places we’ve selected. The idea was to have world map and all the places connected to each other. 1. the average distance between nodes? 2. the sum of the magnitude/directional (SW, NW… can be expressed in degrees) of the edges? It seems that the plugin needs to be updated to meet the most recent netbeans specs. I get a fail message. I figured out, why… it was because on Data import from spread sheet, I did not load the data into a column with the data type “Double”. Hello, Thanks, this is very useful. 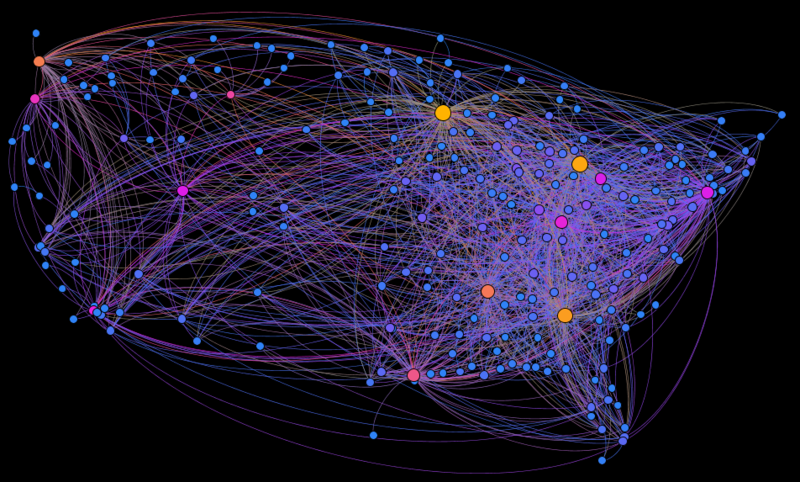 Could you indicate how to set a map of america as a background image in Gephi? Don’t you face any trouble with your own lat/lng coordinates ? I have a csv with coordinates in degrees and also in decimals, decimals one load but are not acknoledge by geolayout algorithm, degrees one doesn’t load (I use this format type : 46° 18′ 53″). It’s kind of weird cause it indicates “double collumn in degree”, whereas arlines gmfx project test got coordinates in decimal. By the way thanks for the tuto. Thanks for this gexf file. @Amparo : As per my findings we cannot set background image of the world map in Gephi, but we can export the plotted graph from Gephi as .KMZ file format using “Export to Earth plugin” ; Then we can open it in Google Earth application with the latitude and longitude values. I tried and it worked. Is there a way to plot the latitudes and longitudes that are required in this layout ? Hello, how to use geo layout and map of countries in same time and same dataset ? Does this plugin work at smaller levels of geography? I’m having trouble displaying the netowrk at a city level, all of the nodes cluster together in one space. I am having this problem too! Have you solved it?